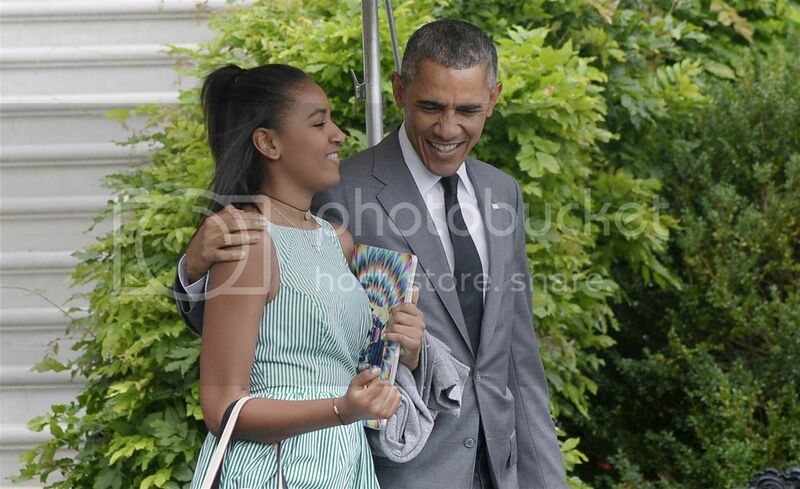 President Obama escorted his youngest daughter Sasha, 14, and two friends to New York for the weekend. Malia, 17, has been interning on the set Lena Dunham's Girls for the summer, and this will be a reunion of sorts for the First Family. On Friday POTUS treated the girls to dinner at Carbone, a high-end retro Italian-American restaurant in Greenwich Village. They then visited the Whitney Museum of American Art for an after-hours private tour. On Saturday, the crew hit Broadway for a performance of musical "Hamilton" and a stroll through Central Park. Mrs. Obama has yet to be spotted. Word is she stayed home for the weekend.